New Zealand gets guns right | Pulitzer Prize Winner Cynthia Tucker | Journalist. Professor. Progressive. The United States used to be the nation that others around the world admired — the trend-setter, the standard-bearer, the first among equals. But we’ve given away our place at the head of the table. Now those of us who long for a pluralistic democracy where diversity is respected, the commons is valued, civic virtues are upheld and compassion and empathy are prized must look elsewhere for examples. In the aftermath of the horrific terrorist attacks on two mosques in Christchurch, New Zealand, that small and unassuming island nation has become the model. 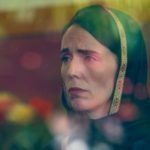 Its prime minister, Jacinda Ardern, has been the embodiment of the nation’s grief, empathy and support for the victims. 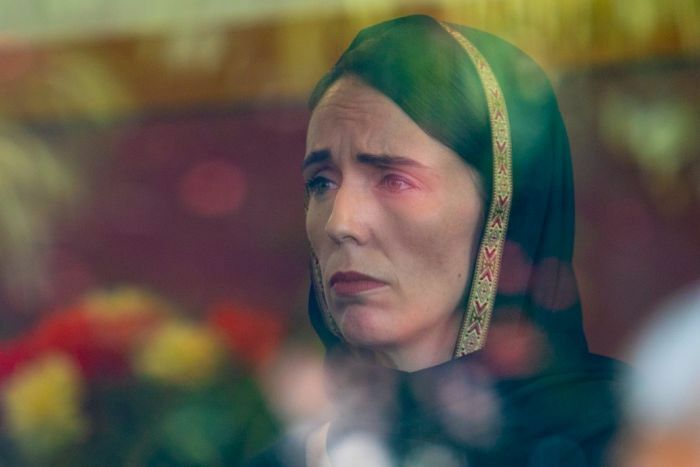 Donning a hijab in public, she has frequently expressed the view that Muslims are valued New Zealanders, that violent extremism will be hunted down and rooted out, that her nation will continue to embrace ethnic and religious pluralism. Contrast her righteous indignation — she has said she will never speak the killer’s name, denying him the notoriety he craves — to the tepid response offered by President Donald J. Trump, who could not bring himself to explicitly condemn the white supremacy that motivated the attack. That’s no surprise. Trump has aligned himself with overt racists and is infamous for his Islamophobia. New Zealand’s welcome example, however, extends beyond the symbolism of Ardern’s hijab and the riveting gestures of support from ordinary people, including impromptu performances of the haka, a traditional war dance of the indigenous Moira. Ardern has announced a national ban on military-style semi-automatic weapons, high-capacity magazines and any firearms parts that would allow shooters to modify weapons into terrifying machines of mass destruction. The suspected gunman is an Australian who travelled from that country to carry out the attacks; he had purchased firearms in New Zealand. Though it is not clear whether those were the weapons used in the attacks, he may have bought guns in New Zealand because Australia has stricter gun laws which would have made it difficult for him to purchase similar firearms. After the New Zealand atrocity, it took Ardern all of a week to propose gun restrictions. And she is expected to encounter little opposition. According to The New York Times, the major opposition party has already announced that it supports the measures. Contrast that to my native land, which is the world leader in mass shootings. Yet, none have led to stricter gun control laws. Last year, a gunman mowed down worshippers in a Pittsburgh synagogue, killing eleven. In 2016, a Muslim extremist with ISIS sympathies shot up a gay nightclub in Orlando, killing 49. In 2015, a self-avowed white supremacist killed 9 church-goers in Charleston. Many of the mass shootings in this country cannot be attributed to extremists motivated by ethnic or religious hatred but rather by a looser and less-defined crazy. Last year, a former student executed 17 students and staff at a Florida high school. The highest death count from a mass shooting in the U.S. — so far, anyway — came from a 2017 rampage in Las Vegas, which left 58 people dead. None of those deaths have changed the politics here, where the gun lobby and its allies resolutely block any effort to pass sane gun control measures. Many commentators point to the Second Amendment as a defining feature that differentiates us from Western allies, but the Founding Fathers’ reverence for a “well-regulated militia” did not, for most of the nation’s history, give individuals the right to own battlefield weapons. The interpretation of gun rights that holds sway currently is relatively new — and profoundly reckless. But we have allowed a power-man and paranoid gun lobby to dominate the debate. Instead of restricting the ownership of battlefield firearms, we teach children to “shelter in place.” We perfect alert systems that send panic alarms to our mobile phones. We hire more police officers for our schools and places of worship.